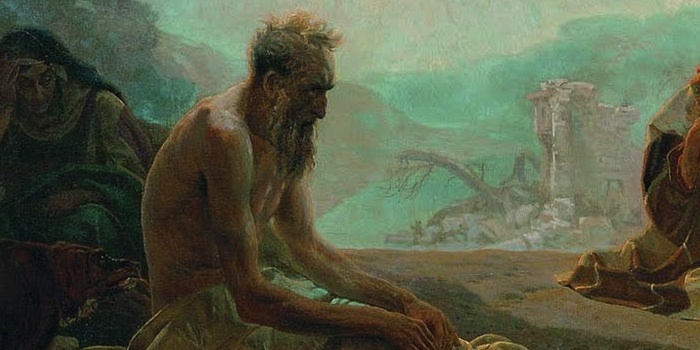 The book of Job is an epic poem (bookended with a prose prologue and epilogue). It was likely an ancient story and scholars suggest that the protagonist of the story lived sometime between 1000 and 2000 B.C. The story of Job and his three friends was likely shared through oral tradition for many generations before a Hebrew poet and scribe penned it in the form and structure we read today. The date is unknown, but historians place the books writing anywhere between the reign of Solomon and when the Babylonians conquered Jerusalem and forced the Hebrews into exile which would put it roughly 600-1000 years before Christ. God is telling a story, and it is woven through His Message. Job is a part of that story. His ancient words not only speak to me of my very present human condition, but also foreshadow a chapter of God’s story which would not unfold for many millennia. This morning, I’m thankful for the rich layers of story and of meaning told through Job, and through the books of law, and history, and wisdom. I’m thankful for the ways I daily relate to them these thousands of years later, and the ways they richly reveal God’s story as it unfolds across time.